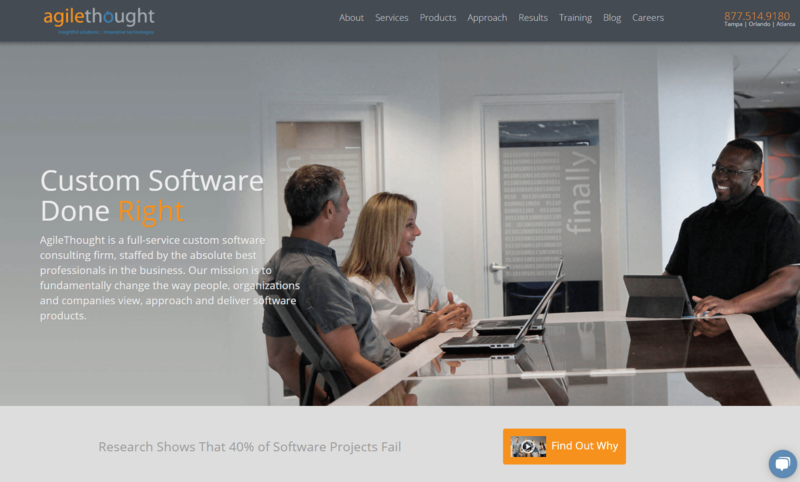 AgileThought is a full service custom software development and implementation firm staffed by passionate, experienced software professionals. It is our goal to deliver exceptional service by combining many years of practical experience with extremely high standards of professionalism and quality. Collectively, our staff has “seen it all” and distilled the most valuable practices, techniques, tools, and methodologies into a set of world class service offerings that benefit a diverse set of clients and industries.